1. First and foremost, congratulations to both Ken Griffey, Jr, the second best player from Donora, Pennsylvania (behind Stan Musial) and Mike Piazza on election to Cooperstown. 2. Three people didn’t vote for Griffey, but his 99% of the vote is the highest percentage ever. I read a lot of stuff saying Griffey could be the first unanimous selection. Come on, team, Babe Ruth wasn’t unanimous and neither Joe DiMaggio nor Yogi Berra made it on the first ballot so who could possibly believe that anyone was going to be unanimous? It renews my faith in the writers. I’ve said for years that they’re a poor group to pick the Hall of Fame and the three guys proved me right again. 3. Piazza is by far the more interesting choice. There are the steroid rumors around him that are just that, rumors. But there is the possibility that they are true. If, in his induction speech Piazza were to say “Yeah, I used the stuff,” then it becomes much more difficult for voters to keep out players who acknowledge they used stuff (McGwire) or are accused (Clemens, Bonds), or who flunked a test (Palmeiro). It will be interesting to see where this goes. None of this is meant to imply that I believe Piazza used anything but coffee while playing. 4. The culling of the deadweight among the voters allowed for some interesting results. Major jumps by Jeff Bagwell, Tim Raines, Mike Mussina, Curt Shilling, and Edgar Martinez are unthinkable without a change in the voters. It may be a signal that all are on the road to Cooperstown (or maybe not). 5. The loss of the “old guard” type voters helped both Barry Bonds and Roger Clemens, but not a lot. Neither went up as much as 10% and now we have six years left to see if they can continue gaining ground and how much of that ground they’ll gain. I was certain, until this vote, that the writers were going to kick them down the road to the Vets Committee and let them (the Vets Committee) make the hard choices. Maybe that’s changed. Next year will tell us much about how that’s going to work. 6. Jim Edmonds is not a Hall of Famer, the voters said so. OK, maybe he isn’t, but he’s better than 2% of the vote, a lot better. It’s a shame he won’t get another chance until the Veteran’s Committee has its say. Alan Trammell is not a Hall of Famer. At least he had 15 years and got 40% of the vote. I think they’re wrong, but now we get to see what the Veteran’s Committee says. And Mark McGwire is not a Hall of Famer although he had only 10 years to make his case. It appears he will be the test case for my kick it down the road to the Vets Committee theory (Geez, I’m writing about the Vets Committee a lot, aren’t I?). 7. Trevor Hoffman didn’t get in but got enough votes to appear a viable candidate for enshrinement on a later ballot. I think he needed that because I’m not sure he could sustain a long, gradual rise before getting over the 75% threshold. The problem is Mariano Rivera. When Rivera becomes eligible he should get in easily and Hoffman can no longer say he has the most saves of anyone eligible (and saves do seem to matter a lot to the voters). I was stunned Billy Wagner didn’t do better. At least he stayed on the ballot. 8. Next year adds Vlad Guerrero, Ivan Rodriguez, Jorge Posada, and Manny Ramirez (among others) to the ballot, making it again a large ballot. I do wish they’d dump the 10 vote rule. I wonder how much that hurt players like Edmonds? 9. All in all, with the exception of what happened to Edmonds and Trammell, I’m pleased with the results. Two worthy candidates got in, a handful of other candidates made major strides toward possible election. That’s not bad. Again congrats to Griffey and Piazza. Now I wonder which cap Piazza will wear on his plaque. Today marks one of the most significant anniversaries in Major League baseball history. 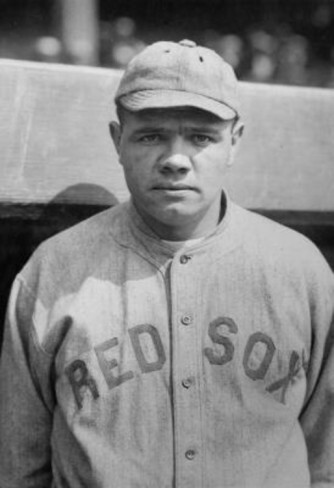 One hundred years ago on 11 July 1914 the Boston Red Sox gave the ball for the first time to a rookie pitcher nicknamed “Babe” Ruth. It was the start of the most legendary of all baseball careers. For the day, Ruth pitched seven innings against the Cleveland Naps giving up three runs (two earned). Joe Jackson (“Shoeless Joe”) knocked in a run early and catcher Steve O’Neill knocked in two in the seventh for the Cleveland runs. Ruth struck out one and walked none to pick up the win. At bat he went 0-2 with a strikeout. Better hitting days were to come for the Babe. Most everyone knows the name Babe Ruth, many without knowing what it was he did. 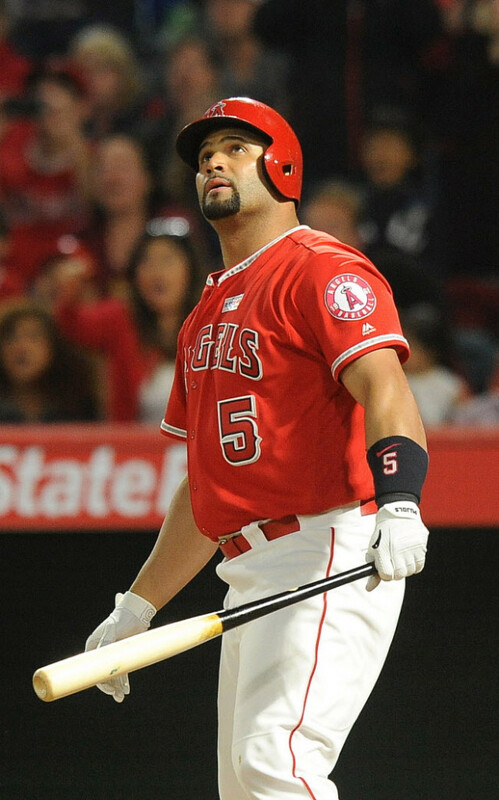 If you do know what he did, odds are you know about the home runs and the hitting feats. But Ruth was also a heck of a pitcher. If you look at the left-handed hurlers of the decade between 1910 and 1920 you could make a pretty fair argument that Ruth was the best left-hander of the decade. You might look at Eddie Plank or Rube Marquard early in the decade, or at Hippo Vaughn later in the decade (and he and Ruth faced each other in the 1918 World Series with the Babe picking up a 1-0 win), but Ruth is equally in the argument. Ruth’s conversion from pitcher to outfielder is key to his career. But if you look around, you’ll find that while it wasn’t common, it wasn’t unheard of in baseball. George Sisler did the same thing and went to the Hall of Fame. So did Lefty O’Doul (without the Hall of Fame being attached). A lot of years later Stan Musial hurt his arm in the minors and switched from the mound to the outfield and ended up in Cooperstown. Bob Lemon went the other way, from third base to pitcher and made the Hall. Bucky Walters also went from third to pitching and won an MVP. Darren Dreifort, while at Wichita State, served as the DH when he wasn’t pitching, but didn’t play in the field (although he did pinch hit) in the Majors. I’m sure that’s nowhere near a complete list. For his Boston career, Ruth was 89-46, a .659 winning percentage, with a 1.142 WHIP, a 2.19 ERA, and a 122 ERA+. He had 17 shutouts, 483 strikeouts, and 425 walks for his Red Sox years (there were also a handful of games with the Yanks). Ruth’s pitching WAR (Baseball Reference.com version) is 20.6. His World Series record is equally good. He was 3-0 with a shutout and eight strikeouts. He did, however, walk 10. 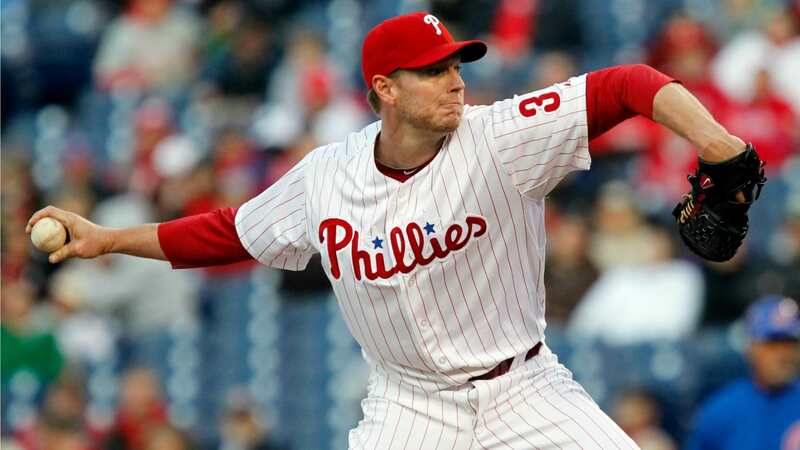 His consecutive scoreless streak in the Series was a record until Whitey Ford finally passed him in the 1960s. I know over the years that a lot of people have tried to tell us that someone else (Barry Bonds, Ted Williams, Henry Aaron, etc.) was better than Ruth. And maybe as a hitter they were (although I wouldn’t bet on that in Vegas), but ultimately you have to decide that Ruth was the overall superior player because he could also pitch very well. Aaron was Aaron, Williams was Williams, and Bonds was Bonds, but Ruth was a combination of any of them and Walter Johnson. Top that crew. While doing the previous look at Bob Meusel, it dawned on me that I’d never actually done a post dedicated to Lou Gehrig. I’m not quite sure why that’s true. I’ve been a big fan of his since I can remember. But it’s time to remedy that oversight. I suppose that most anybody reading this has a basic understanding of who Gehrig was, so I don’t want to do one of my standard short baseball bios of him. Instead I want to concentrate on some of the things that jump out to me when I look at his career. One of the first things I note about Gehrig is how good he was early. His first year with more than 30 at bats was 1925. 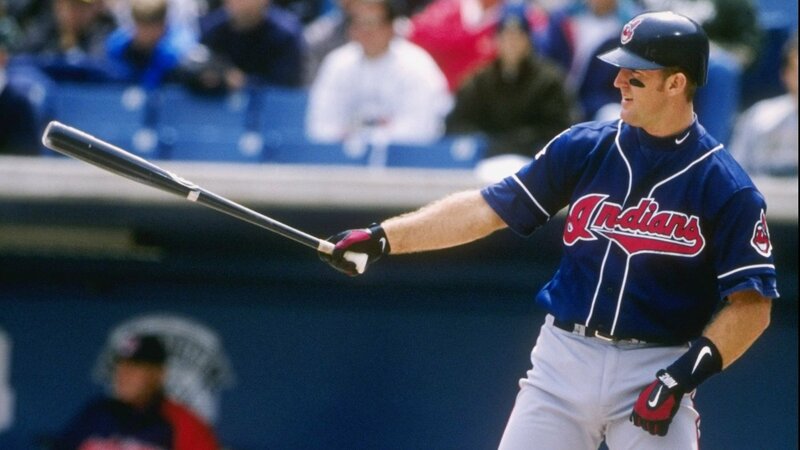 He was 22, hit .295, had 20 home runs, and 68 RBIs. The home run total was fifth in the American League. The 1925 season would also mark the last time he had less than 100 RBIs until his final season in 1939. It’s amazing how much of an RBI machine Gehrig became over his career. I know a lot of people downgrade RBIs as a “target of opportunity” (you can’t drive him in if he isn’t on base), but I’ll remind you that a player still has to hit the “target” and Gehrig did it an inordinate amount of time and while we’re at it unless you steal home or hit a home run, a run is also a “target of opportunity” (the other guys have to hit the ball when you’re on base). In 2164 games he had 1995 RBIs, an average of 149 per 162 games. After all these years he’s still fifth ever and the man in fourth place (Barry Bonds) is only one ahead of him. Back a long time ago (May of 2010) I came up with something of a joke stat called RBI-NS (runs batted in–not self) which was simply RBI-HR. It was designed to see how many of a player’s RBIs were earned by plating himself with a home run rather than knocking in another player. I did all the players with 475 or more home runs (as of 2010) and found that Gehrig was second in the stat with 75% of his RBIs being another player (Stan Musial was first with 76%). That means to me that not only did Gehrig have a lot of opportunity to knock in runs, but that he managed to do so with great frequency. That’s a measure of how much he dominated in his era. There has been for years some argument about the 1927 MVP race. Babe Ruth hit 60 home runs and Gehrig was chosen MVP. A couple of things ought to be pointed out. First, Ruth won an MVP earlier and for years there was an official rule that you couldn’t win two. By 1927 it was more or less tradition although the prohibition was gone. I’m sure that hurt Ruth some but if you look at the season it’s not like Gehrig was a slouch either. 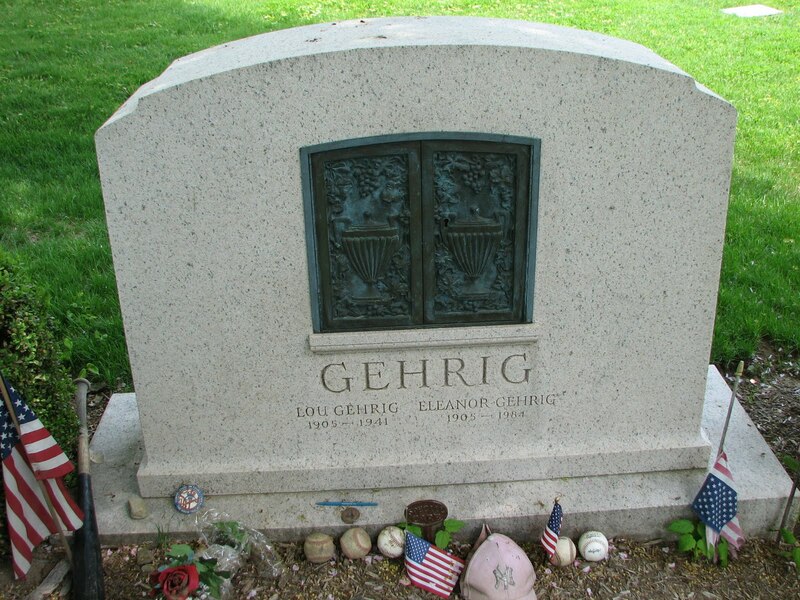 Gehrig led the team in hits, doubles, RBIs (of course he did), and average. Baseball Reference.com’s version of WAR even has him better than Ruth. 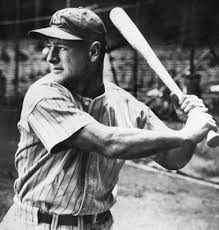 Gehrig also holds the AL record for RBIs in a single season with 185 in 1931. The only number higher is in the National League and comes in the juiced ball season of 1930. His triple crown season of 1934 provided his only batting title, but was his second (of three) home run title, and his fifth (and final) RBI title. He also led the league in hits once, in runs four times, and in triples once. The last of those stunned me when I noticed it. No one thinks of Gehrig as particularly fast, but he averaged 12 triples per 162 games. His one MVP award was in 1936, a decent year (and his last home run title) but certainly not his best. Over the years Lou Gehrig the ballplayer has gotten lost behind Lou Gehrig the man. His disease, his class in handling it (especially on this the 75th anniversary of the most famous speech in baseball history), and his tragedy all have subsumed his playing career (not to mention the movie). This is a small attempt to remind you of just how good he was as a ballplayer. In 2000 SABR did a membership poll asking who was the greatest 20th Century baseball player. Unsurprisingly, Babe Ruth won. Second was Gehrig. They make a good case for it.